His Holiness Dr Syedna Mufaddal Saifuddin is in Dubai this week where he will deliver the sermon for the remembrance of Maulatona FatemaAS on Friday the 26th of January. During his stay he is to inaugurate a renovated and expanded masjid, new and expanded MSB institute and a brand new housing complex. The masjid is the heart of every Muslim community for it is the house of Allah. Thirty years ago, the Dawoodi Bohra community in Dubai was blessed with the opportunity of constructing the first Dawoodi Bohra masjid in the country – Al Masjid Al Saifee. The inauguration of this masjid was an important landmark in the history of Dawoodi Bohras in the region, as it was the first masjid for the community in the Arabian Gulf. Al Masjid Al Saifee, located in Deira, Dubai, was first built on 21,000 square feet of land. Soon enough, this masjid was not enough to hold the growing number of Bohras settling in Dubai, leading to the construction of Al Masjid Al Burhani in Al Qusais. What was once a small community of around 1,500 people, has now grown into a jamaat of approximately 15,000 Dawoodi Bohras in Dubai alone. The massive growth resulted in the need for an expansion project of Al Masjid Al Saifee in Deira, a project that has reached completion. The expanded facility includes areas for Hifzul Qur’an with state of the art facilities, and provide a much greater capacity for prayers. By way of expansion, there are 5 additional prayer and community areas. Along with new jamaat offices, 22 additional classes have been included in the Madrasa Jamaliya (Markazo Talim ul Quran). A unique and modern kitchen has been developed with latest equipment for Faiz al Mawaid al Burhaniyyah cooking and distribution. The old structure of Al Masjid Al Saifee has been strengthened, to a level where it is as good as new. The masjid’s architecture has been renovated, reflecting Fatemi architectural design as seen in various monuments in Egypt from the Fatimi era. A new minaret is erected based on the designs of Al Jamea Al Juyyushi in Cairo, Egypt and the exterior of the masjid clad in Jordanian stones. Janab Aamilsaheb Kinana bhaisaheb bin Muder bhaisaheb has been instrumental in the planning and execution of this project since inception. Anjuman-e-Najmi trustees, along with Mr Aliasger Hamid and the Masjid Tameer (constuction) committee have been tireless in their work. Dubai’s Bohra community now eagerly awaits the inauguration of the renovated Al Masjid Al Saifee by His HolinessTUS. Following on from the success of Masakin Mohammediyah – a housing facility exclusively for the Dawoodi Bohra community in Al Nahda 2, Dubai – the community has planned a similar housing project in the area of Al Warqa in Dubai. Some years ago the ruler of Dubai, His Highness Sheikh Mohammad Bin Rashid Al Maktoum, had gifted a piece of land to the community leader Dr. Syedna Mohammad BurhanuddinRA. On this plot a society was formed named ‘Masakin Mohammadiyah – Warqa’. The project was realised under the guidance of Janab Amil Saheb Kinana bhaisaheb and the Warqa Project committee has since worked tirelessly in managing various aspects of the project. This 30,000 sq ft area is where a 7 story residential building is under construction. There are a total of 54 fully furnished apartments of between one and three bedrooms each built to the highest standard. A 3,700 sqft multipurpose community hall is located on the roof. The facility also contains a gymnasium and indoor sports court for the residents’ use. The complex is located 20 minutes drive from the Burhani Masjid complex in Al Qusais. Al Warqa’a is a very peaceful and fast developing locality with ample parking facilities within and outside the building. At ground floor level a play area has also been built for children. The Dawoodi Bohra community has always endeavoured to ensure quality education is provided to each child in the community. In 1985, Dr Syedna Mohammad BurhanuddinRA opened the doors of MSB in Nairobi, Kenya after which these schools have flourished across many cities worldwide, offering holistic education encompassing both worldly and theological study. The Dawoodi Bohra educational institute, Al Ameen Private School in Dubai falls under the umbrella of MSB. From its beginnings in a small villa located in the suburbs of Garhoud, MSB Dubai has grown into a fully functional facility that can house 600 students and offers primary and secondary level education to students. The school follows the British National Curriculum leading upto the IGCSE examinations of the UK. 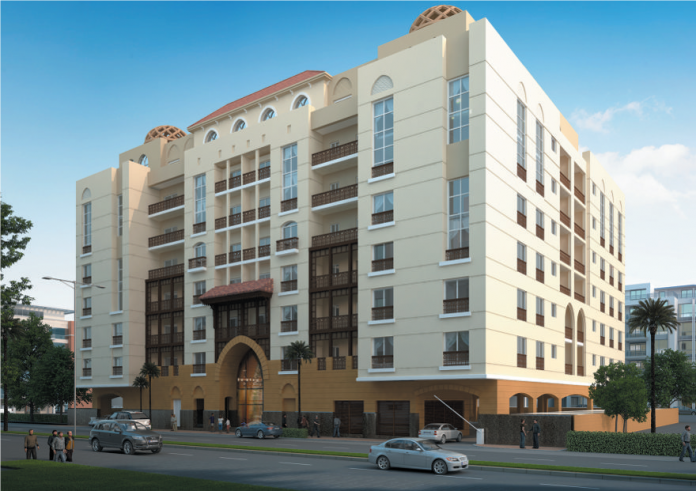 Al Ameen Private School is currently located in Al Nahda, Dubai in a 2-story complex. Students are provided with up to date resources for learning. The current complex includes a Hifzul Quran hall, science laboratories, ICT lab, gym, library, home science labs, sports ground and fully-equipped classrooms with modern utilities. Developing under the guidance of Janab Amil Saheb Kinana Bhaisaheb and with Mr Moiz Dhanerawala and Mr Jabir Rasheed along with the MSB Committee managing various aspects of the project, an expanded MSB school premises is being constructed around 100 meters away from the current one. This will allow more facilities and cater to a larger number of students. The new complex will have the capacity for 1,100 additional students and boasts state-of-the-art facilities that include a beautiful Hifzul-Quran hall, 4 science laboratories, ICT lab, indoor gym, modern library, home science labs, a 30,000 sqft sports ground, dedicated badminton and basketball courts along with on-site parking facility.